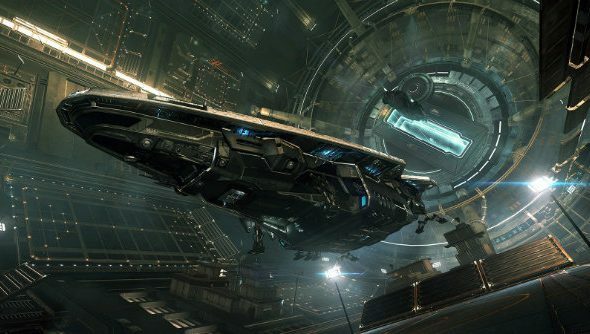 If you’ve been taking on Elite Dangerous since the release of its most recent update, you might have noticed that AI controlled spaceships have become just a little bit more fiesty than usual. Like heading out into the universe? Check out the best space games on PC. It appears that an intention to make NPCs harder to combat in the game’s The Engineers upgrade accidentally transformed them into combat hungry megalomeniacs, capable of deploying immense new weaponry that takes down players’ ships without warning or mercy. In short, anyone venturing out into space was likely to be destroyed in a matter of seconds. The reason? A series of unconnected factors coming together to equip NPCs with some seriously poweful weaponry far in excess of anything players can get their hands on. “It appears that the unusual weapons attacks were caused by some form of networking issue which allowed the NPC AI to merge weapon stats and abilities,” detailed Frontier’s Head of Community Management Zac Antonaci on Elite’s official forums. Antonaci revealed said merging meant “all new and never before seen (sometimes devastating) weapons were created, such as a rail gun with the fire rate of a pulse laser.” The issue was then magnified by the additional stats and abilities of the engineers weaponry included in the update. Reports from players claimed The Engineers upgrade prompted AI controller ships to attack them when without a wanted level or any meaningful cargo on board. Nevertheless, Antonaci said that Elite’s AI has “in no way been reduced” in response. “The only action that we’ve taken so far has been to remove the engineer weapons to allow us to investigate the issue and address a key bug,” he clarified. You can find details of all the fixes included in the patch here.